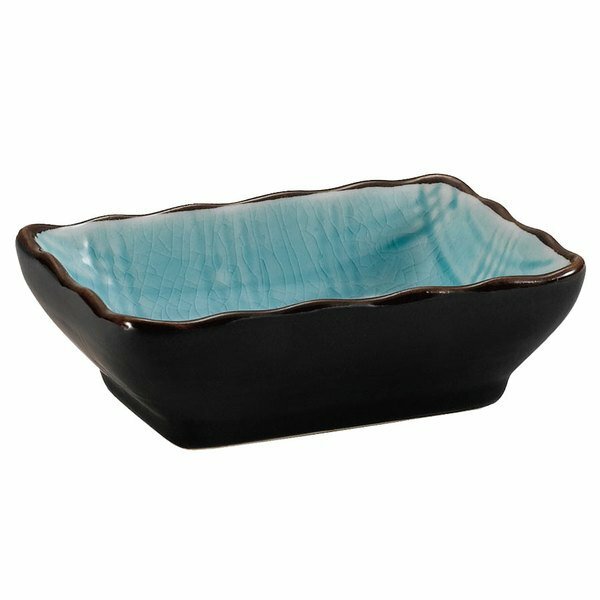 This CAC 666-32-BLU black non-glare glaze and lake water blue Japanese style 3 1/4" x 2 1/2" sauce dish is perfect for presenting sauces such as soy, teriyaki, duck, and wasabi. Its tapered rectangular shape makes it easy to dip sushi or vegetables. This Japanese style 3 1/4" x 2 1/2" sauce dish features a wavy rim surface and sculpted vertical lines as embellishments.